Aviva Cohen received her bachelor’s degree from Boston University and her master’s in social work from Loyola University. Her specific area of focus is perinatal loss, fertility, Postpartum Depression, and work/life balance issues. She presents on this topic at hospitals, schools, private women’s centers, and community mental health settings. She completed extensive training in domestic violence as well, and uses this knowledge when working with patients in their child bearing years. 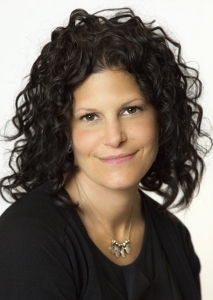 Aviva was a staff clinician for Wilmette Family Services as well as Jewish Child and Family services where she ran and participated in workshops related to the family unit as a whole and the effects of fertility, loss, and postpartum on the entire family system. A strong foundation in family therapy lends itself to her work with women and their partners. Aviva is currently the Perinatal Loss Coordinator at Northwestern Memorial’s Prentice Women’s Hospital and has been in private practice on the Northshore for many years. The Blossom Method was born to meet the needs of the population she adores and identifies with the most. Through her own personal struggles, Aviva has a depth of perspective in the area of pregnancy and loss that many do not. A center for Moms, run by a Mom, has always been her dream. A place for people to connect and share their struggles and private pain. She lives in the Northern Suburbs of Chicago with her husband and their four children.